Following her resignation as the Secretary for Homeland Security, Kirstjen Nielsen opened up today about the pain of bidding farewell to her DHS family. Nielsen says at least she knew this was coming, given the tensions between her and the White House in recent months. 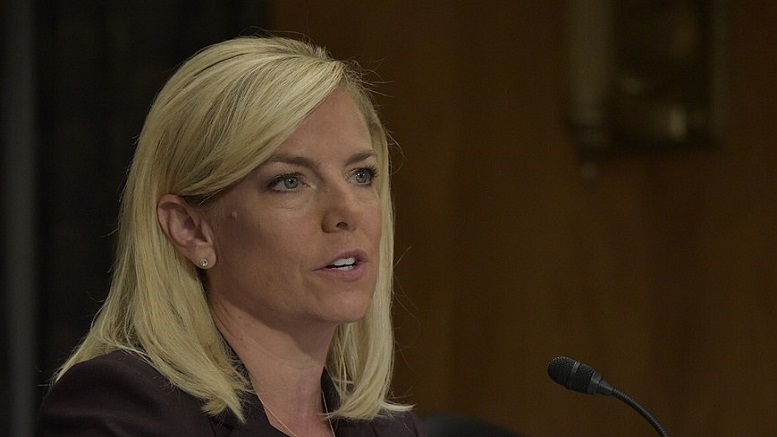 Though this marks the end of her working relationship with her former DHS colleagues, she says at least she still knows where they are and how to get in touch. Be the first to comment on "Kirstjen Nielsen Describes Pain Of Being Separated From Her DHS Family As Worst Thing Ever"